Does Marijuana Have Any Dangerous Interactions with Other Drugs? Many of the patients who contact me about qualifying for medical marijuana in Massachusetts have already received a diagnosis, but are dissatisfied with the level of relief their current medication is providing. 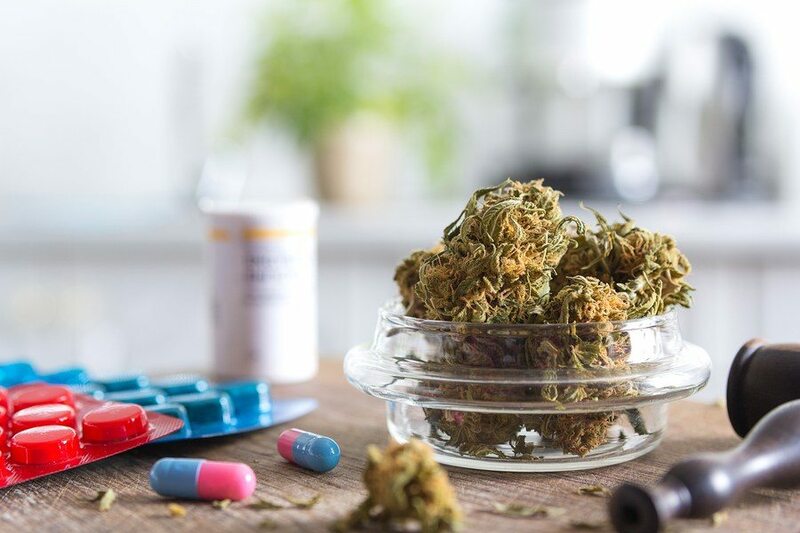 If you’re thinking about trying medical Cannabis for a serious health condition, there’s a high likelihood you are currently using at least one prescription. But are there any prescription or over-the-counter drugs that have dangerous or deadly interactions with marijuana? Many prescription drugs have harmful interactions with each other, with alcohol, or even with certain foods. For example, early-generation antidepressants called MAOIs (which, though still occasionally prescribed, have declined in popularity with the advent of SSRIs) could cause dangerous spikes in blood pressure when combined with tyramine-rich foods like cured meats and aged cheeses. Numerous prescription and over-the-counter medications, including familiar names like Claritin, Xanax, Cymbalta, Flomax, Zantac, Adderall, Lipitor, Tylenol, Advil, Motrin, and Zoloft, are unsafe to mix with alcohol because of health hazards like liver damage, memory problems, fainting, and increased risk of drug overdose. On top of that, there are countless interactions between medications. For example, it is dangerous to blend Aspirin or NSAIDs (like Advil, Motrin, or Aleve) with anticoagulant drugs or “blood-thinners” (such as Coumadin, Xarelto and Pradaxa), because the combination increases the risk of internal and external bleeding. Another common example is mixing Erectile Dysfunction meds like Cialis, Levitra, or Viagra with cardiac nitrates (“Nitroglycerin”) can cause lethal drops in blood pressure. Mixing drugs that contain acetaminophen (such as Tylenol) with prescription opioids pills that also contain acetaminophen (such as Percocet and Vicodin) can cause liver damage or even total liver failure, which can be fatal. These are just a few examples of the innumerable drug cocktails that can cause serious adverse effects. So where does Cannabis fit in? 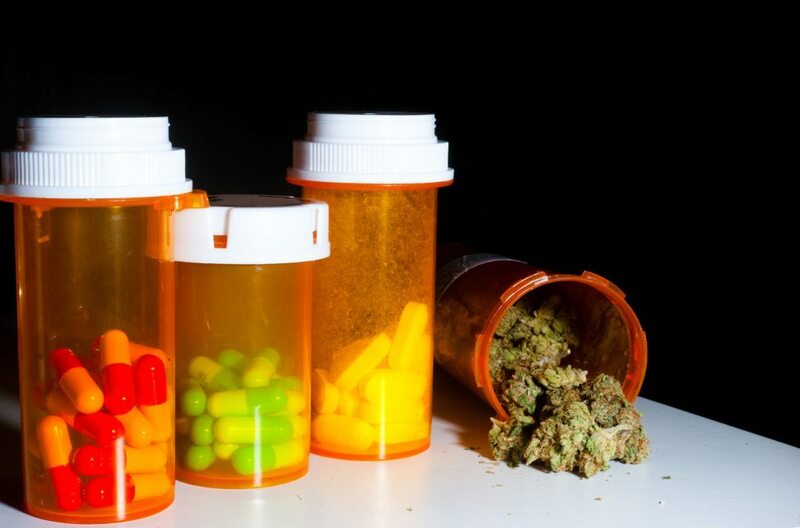 If you’re worried about mixing medications with marijuana, there’s some good news and some bad news depending on what prescription you’re currently taking. All of these effects are temporary, and for most patients, fall well within the range of tolerability. Feelings of anxiety and paranoia, which are arguably the most distressing potential side effects, vary from patient to patient, and even from session to session with the same patient. Most patients do not experience these effects during every session, and some do not experience them at all. If you ever find yourself in a situation where you’re nervous or uncomfortable because you’ve taken a more powerful dose than you anticipated, try these 10 tips for calming down when you’ve had too much marijuana. 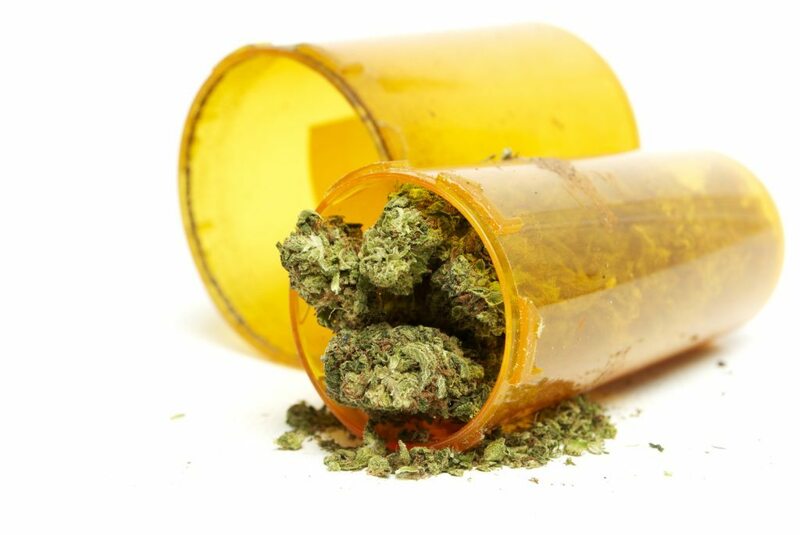 The bad news is that Cannabis can potentially magnify the side effects of certain prescriptions or substances. Cannabis can affect your blood sugar levels, a subject I covered in my article about how diabetes patients can benefit from marijuana. While Cannabis can actually be good for treating diabetes, you may need to adjust your diabetes medication dosage as a result, under your doctor’s supervision. Cannabis can lower your blood pressure, particularly when you stand up from sitting or lying. This can lead to lightheadedness and even falling. Therefore, if you take any drugs for high blood pressure/hypertension, or have low blood pressure to begin with, you should talk about Cannabis with your doctor to ensure that you maintain a safe, appropriate dosage when beginning the use of medical marijuana. You may need to increase or decrease your current dose if your blood pressure is significantly affected by Cannabis use. Mixing marijuana with other prescriptions or substances isn’t 100% risk-free, but it’s still substantially safer than blending most other types of medications. As with any medication, you should always talk to your doctor before you change your dose or stop taking your medicine. Making changes to any medical regimen can be extremely dangerous without careful guidance from a qualified physician.